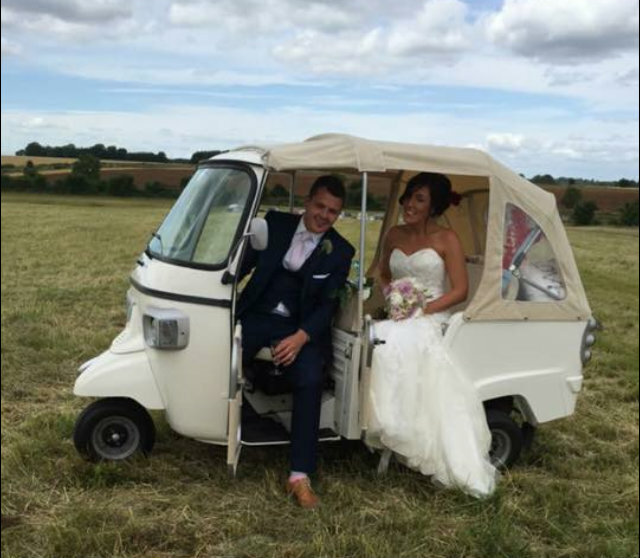 TukTuk Hire for Weddings, Parties and Events!! After visiting India and Thailand we fell in love with the TukTuk’s there and thought how exciting it would be to bring the experience to our weddings and parties in Bristol and the surrounding areas. 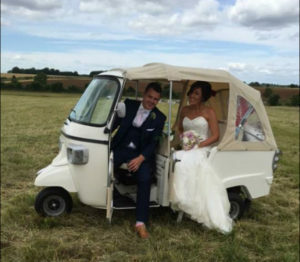 Our unique ivory TukTuk can be hired for your journey from your home to the church, onto the venue; for photo opportunities or even to ferry guests from a field up to a farmhouse if you have an outdoor wedding! We can also decorate our TukTuk for any themed party or corporate event and place your advertising on the back and sides. It’s sure to get noticed as our TukTuk always turns many heads! The opportunities are endless when you hire our unique TukTuk! Coming soon……. children’s party experiences!